FP1 Strategies draws on the lessons learned from winning some of the biggest races in American politics to advise international candidates and parties on their elections. Our team has operated at the upper echelons of American politics for more than two decades, running presidential campaigns, heading up major party committees, and writing, producing and placing nearly one billion dollars of television, digital and radio advertising. 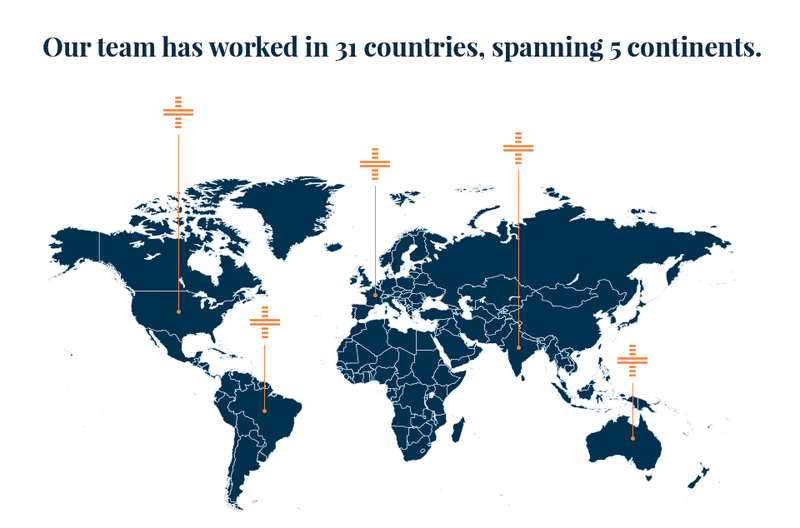 Internationally, we have worked in 31 countries, spanning five continents. Most recently, we have consulted with the European People’s Party, the Liberal Central Union in Lithuania, the People’s United Party in Belize and Barisan Nasional in Malaysia. We also produced the advertising for Ivan Duque’s successful presidential campaign in Colombia in 2018.
International political campaigns turn to FP1 for our expertise in managing the media, as well as crafting data-driven messages and voter contact programs. The foundation of every FP1 campaign, domestically and internationally, is extensive research into our candidates, our opponents and the voters. After compiling traditional opposition research and vulnerability studies, we conduct several rounds of polling and focus groups to inform the development of a strategic roadmap. We then infuse the entire campaign operation with sophisticated uses of data. The rise of the Internet and data analytics have revolutionized American politics, empowering candidates in our country to precisely target their messages to the voters they most need to persuade and mobilize. We offer a complete tool box of data analytics and targeting techniques to improve the efficiency of our international candidates’ advertising and field programs, making it possible to communicate the right messages to the right voters at the right time. With our targeting tools, campaign dollars will go farther and the effectiveness of your voter contact and organizing efforts will be enhanced. Recognizing that different countries have different laws governing privacy, we are able to deploy tactics that reflect legal requirements, while still providing the benefits of modern targeting techniques. FP1 also provides international clients with creative advertising services that have repeatedly received the most prestigious awards in America. We know how to use the power of advertising and the viral potential of the Internet to connect the stories and personalities of our candidates with the concerns of their voters. As your campaign consultant, FP1 will engage directly with your strategy team and party leadership to help you develop and implement a campaign plan that is strategically aligned with the concerns of your voters, responsive to the unique political culture of your country, and supported by our industry’s best practices. If requested, we will also embed a senior member of FP1 with your in-country team for key intervals of the campaign, including the stretch run to Election Day.